It looks like at least one of the many men vying for Bachelorette Becca Kufrin’s heart and hand has a checkered social media history that has just now come to light. Garrett Yrigoyen, a medical sales rep from Reno, Nevada, has a very square jaw, is blandly handsome, and emerged from a minivan during his arrival sequence, perhaps as a way to signify “family” and “stability” and “Pick me, our children will have very even teeth.” Whatever it was, it secured him the valuable first impression rose and also a kiss from Becca on the season premiere of The Bachelorette, thereby making him a “frontrunner” as of this writing. The entire thread reveals a trail of digital approval meted out by Yrigoyen and initially sniffed out by an anonymous and since deleted Instagram account, imwatchingyuuo. The Huffington Post also noted that Yrigoyen engaged with posts from Merica Supply Co., a clothing company with an Instagram account that hawks right-wing, conservative memes and t-shirts alike. 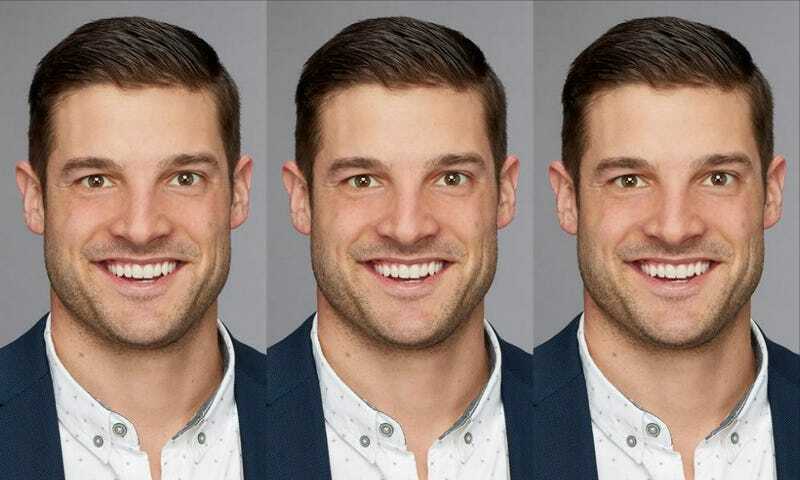 This kerfuffle at the outset of a brand new season comes on the heels of the controversy surrounding Lee Garrett, a contestant on Rachel Lindsay’s season of The Bachelorette, and his unearthed racist tweets, which referred to Black Lives Matter as a terrorist organization and allegedly declared his hatred for Islam. Lee also found himself at the center of controversy and confrontation during his season, culminating in a fight with another contestant, Kenny, that eventually got Lee kicked off the show. During Lindsay’s season, many wondered why and how the social media vetting process worked and if it was thorough enough. After Lee’s elimination, ABC announced that they would enforce a stricter social media vetting process. The “likes” from Yrigoyen are relatively recent, and were surfaced technically before the first episode even aired. According to the Hollywood Reporter, various spoiler reports for this season of the show have said that Garrett is a frontrunner to win. It’s not clear what ABC’s social media vetting process actually is—a person locked in a room, staring bleary-eyed at Instagram until their eyes close, maybe? But it seems they should do something—really, anything!—to vet these contestants not only for watchability, but to make sure that they’re not complete bigoted dickheads, too.